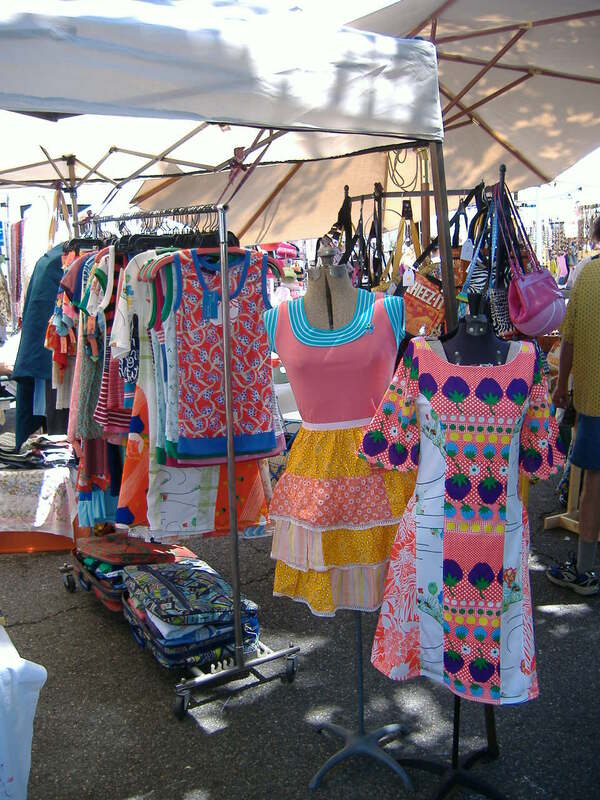 This Sunday: AC Clothing and Bags Clearance Sale in Berkeley! Hey friends! If you missed my pop-up shop at Mercy Vintage last week, here’s your chance to get some super-clearance pieces: I’m clearing out oodles of my ready-to-wear clothing since I’m switching over to mostly offering custom pieces (bags, hot pants, and vintage wool scarves will continue to be available ready-to-wear) and taking a rack to my buddies’ yard sale. They’re selling super cool collectibles, housewares, clothes, etc, since they’re hip people of taste! Introducing a new design by AC Clothing and Bags: The Kristin Skirt! Here’s my new design, I’m super excited about it! This oh so comfy and oh so flattering, playful skirt is created from my collection of fabulous vintage fabrics, cut full with an stripe insert of a contrasting print, with deep full pockets for free and easy wear, topped with a wide matching or contrast color elastic waistband. I named this style for my dear friend Kristin, who loves beautiful colors and whimsical prints, is a marvelous sportswoman and dancer, and always dresses in a manner that never skimps on beauty, comfort, and function! Hello followers of my vintage shop! Come down and see me in a couple of weeks, at my first out of studio sales event in a long while…. wait, has it been a few years? Three? How time flies! Anyway, I’m excited to get out there again, going back to university was like stepping into an alternate world for a time. So come hang out with me and see what I’ve been creating. There’ll be snacks and wine! 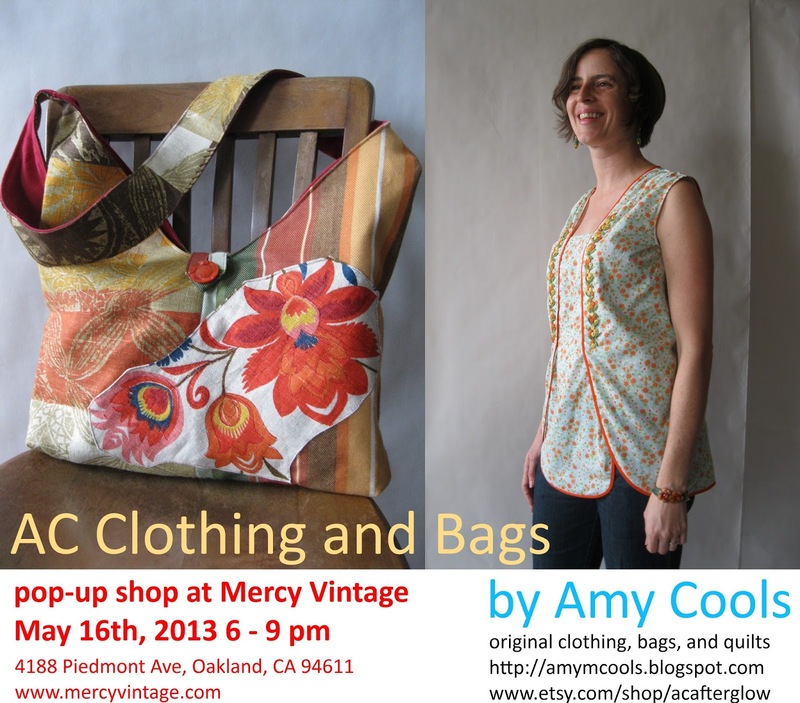 At Mercy Vintage on Piedmont Ave, 6 – 9 pm on Thursday, May 16th.